Crawford lives among the rocks below the dock. He repeatedly pokes his head out from his lair to search for food, but must remain watchful as Bigmouth the Bass hovers in the water above him. He knows he would make a fine snack! 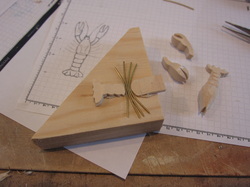 Crawford is made from 3 pieces of basswood, seen on the right of this photo. 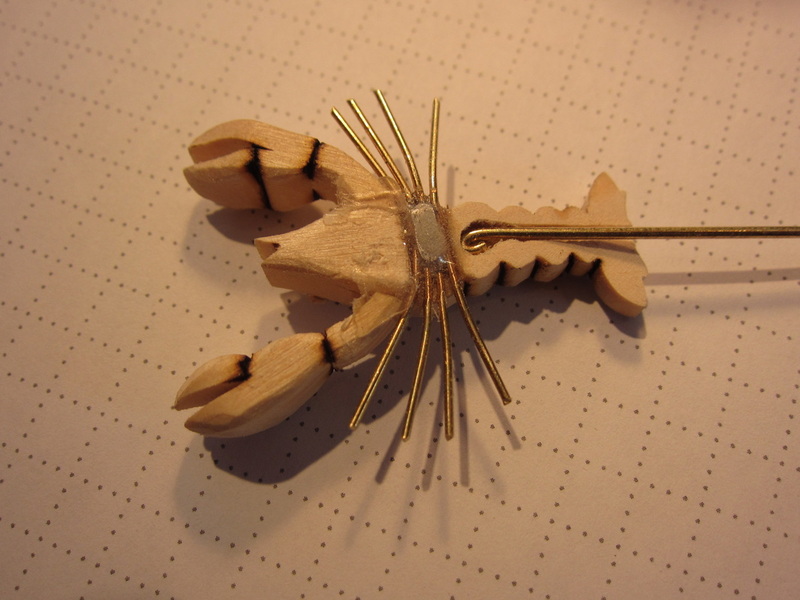 His legs are held in a jig ready for soldering. The original design sketch is also shown. 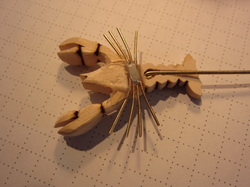 Seen from below before attaching a skid plate on his stomach you can see his leg assembly and push rod that moves him forward and back. for scaling the squares on the paper are 1/4".